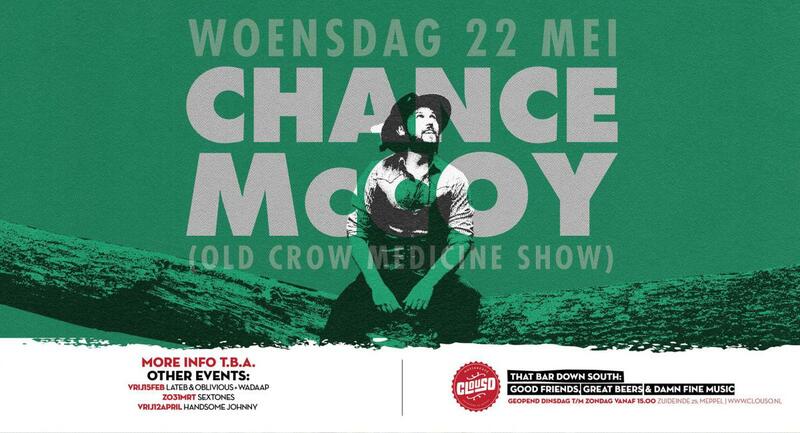 Chance McCoy is a Grammy Award winning Indie Folk musician best known for his work as the guitarist in Old Crow Medicine Show. His first album with Old Crow, where he debuted his talents as song writer, singer and instrumentalist, earned the band a Grammy for best folk album. In 2013 Old Crow was inducted as members of The Grand Ole Opry. His first LP ’Wander Wide’ set to be released in 2019 is a collection of masterfully written songs woven with threads of folk, indie, and rock.